Sweden’s THE GREAT DISCORD, who just unleashed their debut full-length album Duende in June, are pleased to announce that their new EP Echoes is now available for streaming on Spotify and will be available at other digital outlets and streaming services such as iTunes, Amazon, Google, Apple Music, and Rdio on 9/18. The Echoes EP contains a version of the track “The Aging Man” performed simply with a piano and Fia Kemp’s striking vocals (music video coming shortly! ), two cover tracks, and radio edits for their songs “The Aging Man” and “Ephemeral.” Listen now on Spotify HERE. This may come a little unexpected, but we are releasing a digital EP, entitled Echoes, tomorrow through Spotify, and a little later through other digital outlets. The reason for this EP is to give you another glimpse into what we are as a musical collective, but in a slightly different musical costume. The title simply refers to the function of an alternative version, serving an an echo of something that already exists. Which, incidentally, is another concept tying this together. Tabula Rasa, and how we become who we are through interactions with others. And of course, since we love Pink Floyd we could not resist the name. “The EP includes a very special and intimate version of The Aging Man, along with homages to the amazing Deftones, and The Mars Volta, two bands that have been a part of our lives for a very long time and inspired us immensely though their creativity and originality. “The cover art for this release was made by our very own André Axell. The music was captured by us, and yet again mixed / mastered by the eminent Niels Nielsen at Secret Location Studio. 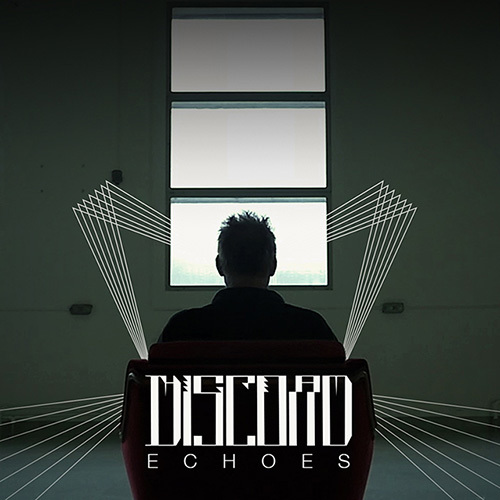 One of the most unique things about THE GREAT DISCORD is their visual presentation, which has been showcased not only in their live performance, but also in a series of video teasers and a full-length video for their album single “The Aging Man” that can be viewed HERE. THE GREAT DISCORD‘s full-length debut Duende made Revolver Magazine’s Album of the Week on 6/08/15.